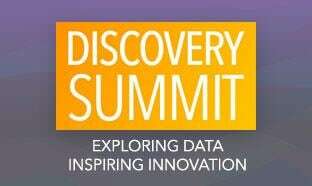 Scientists, engineers and other data explorers need a highly visual and interactive way to discover what’s hidden in their data. The latest version of JMP offers new and enhanced ways to do just that. JMP 14 includes new ways to access rich data sources and new tools to streamline the data cleanup process. 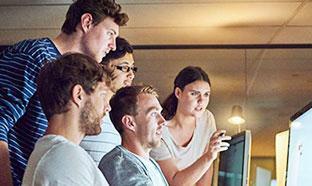 For those scientists and engineers who have chosen JMP Pro 14 for their data analysis needs, modeling tools are available to take analyses to the next level—no matter what form the data comes in. See what's new in JMP 14 and JMP Pro 14—with many of the features requested by users themselves. Projects afford a new way to organize files and use JMP with a tabbed, web browser-like interface and can ease the pain of managing your workspace when many tables, scripts and reports are open at once. Choose which files to include in the project. 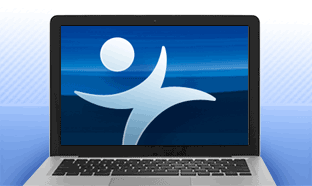 Launch supporting documents (.ppt, .doc and .pdf) directly from JMP. Use Projects in JMP to organize files and manage multiple open windows with a drag-and-drop tabbed interface. 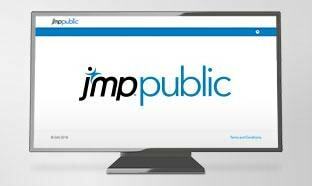 Load from just a few to thousands of files at once into a single JMP data table. For many users, each analysis begins with importing dozens, hundreds or even thousands of files. Before JMP 14, these users needed to write JSL scripts to perform such imports. 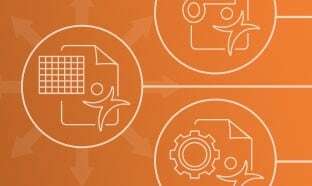 With JMP 14, the Multiple File Import platform gives users a point-and-click way to quickly and accurately combine hundreds— or even thousands—of files into a single one. Import multiple files into a single data table, or a collection of data tables (for example many free-text documents that need to be concatenated for use with Text Explorer), with just a few clicks. Specify import options, filter files by a variety of criteria (including size, date, name and type), and import to a single column (for use with Text Explorer) or into a multi-column table. Use Multiple File Import interactively, or have the platform write you a script to automate future imports. Easily incorporated customized error bars. Point dodging and jittering options. More control over contours including smoothing and shape clipping. Bootstrap confidence intervals for Smoother element. Support for additional basic statistical analysis directly in Graph Builder. Control contours in Graph Builder with smoothing and shape clipping along with a variety of other Graph Builder enhancements introduced in JMP 14. Access data from a wider variety of sources with the new HTTP Request feature in JSL. You can communicate with external web servers using APIs and easily get your web data into JMP for analysis and graphing. 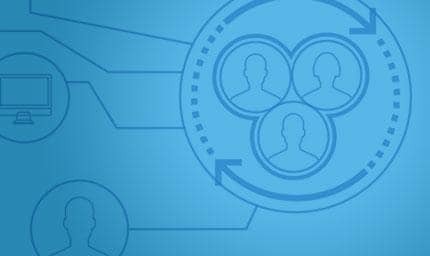 With direct database access and an ODBC driver, it is easy to query, join and filter data using Query Builder—but what happens when you'd like to perform an analysis using one of the many data sources available through web APIs? JMP 14 introduces the JSL HTTP Request function. HTTP Request allows you to write custom scripts to communicate with external web servers (for example, Salesforce, Google Analytics or Twitter) through REST APIs. By using HTTP Request and the new JSON parsing functions, you can automate the process of fetching data from the web and placing it into JMP tables. Improvements to copy-and-paste functions that let you paste free-text into a single data table cell. Grouping and nesting of table scripts for better script organization. Improved automatic category sorting for numeric suffixes (e.g., Lot 1, Lot 2...Lot 10, Lot 11). New invert column selection option. Ability to easily select duplicate rows from the rows menu. Updated Scripting Index with improved search capability, and a compact mode that pairs well with Projects. Data tables can use the values of an image column as markers, allowing you to develop rich, easy to understand visualizations. Ensure the accuracy of your categorical data in even less time with the data restructuring enhancements in JMP 14. Improved filtering, text parsing options and support for multiple response data and value labels are just a few of the improvements to Recode in JMP 14. Ensuring the consistency and accuracy of categorical data has always been one of the most time-consuming and tedious aspects of data cleanup. Recode is a tool that many scientists and engineers utilize daily to expedite the data cleanup process. In JMP 14, you'll find that Recode has additional tools and automated routines to get you analysis-ready more quickly than ever before. Ability to create, consume and convert value labels directly from Recode. Option to publish recode formula to Formula Depot, which lets you perform data cleanup inline in a production environment without having to bring the data into JMP. Support for multiple response columns. Ability to group to new category. 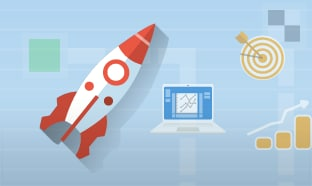 JMP 14 introduces Python into the suite of programming language interfaces in JMP, adding to the existing ability JMP has to connect to SAS, MATLAB and R. With the Python interface, JMP users can leverage in-house Python experts and pre-existing libraries, without leaving JMP. It also allows users to connect to a local install of Python, send data from JMP to Python, execute Python code from a JSL script and return data to JMP for data visualization, analysis and further exploration. Use the JMP interface to Python to connect to a local installation of Python, send data, execute Python code and return data to JMP for follow-up analysis or visualization. New DOE capabilities in JMP 14 include Balanced Incomplete Block Designs (BIBDs), which can improve your custom designs. A-optimality criterion added to Custom Designer. This is useful if the optimal design needs to focus more heavily on certain effects rather than others. Ability to create Balanced Incomplete Block Designs (BIBDs). Improvements to the way priors are specified when building Accelerated Life Test (ALT) Designs. In Compare Design, up to 10 designs can now be compared through a JSL interface and up to five with the UI. Improvements to the Fit DSD algorithm and options enabling the platform to find weakly quadratic terms and interactions having weak heredity. Addition of a pairwise incidence heatmap to MaxDiff designs. Improved space-filling over levels of a categorical factor. JMP Pro 14 brings improvements to the Naïve Bayes functionality introduced in JMP Pro 13. This classic approach allows classification of categorical responses in the data and works well with large data sets. It uses a simple estimate of the probability of conditional distributions of X given Y and reverses the conditional probability using Bayes' rule. 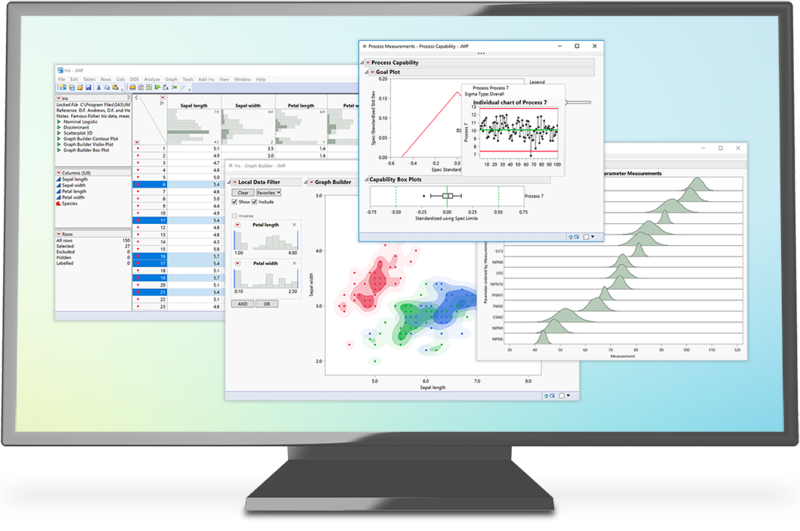 In JMP Pro 14, Naïve Bayes is rendered as a fully featured platform and offers the functionality available in other predictive modeling platforms, such as profilers and diagnostic plots. In JMP Pro 14, Naïve Bayes is a fully featured platform, enhancing the modeling experience with the capabilities of other JMP Pro predictive modeling platforms. The K-Nearest Neighbors (K-NN) feature is expanded in JMP Pro 14 to include a profiler and a model selection tool that lets you interactively change K to explore various model fits. As with the Naive Bayes platform, JMP Pro 14 improves upon its K-Nearest Neighbors (K-NN) functionality. In JMP Pro 14, K-NN is now a complete platform with features available in other predictive modeling platforms, including profilers, a model selection tool that lets you interactively select K and diagnostic plots to help you build more robust models. Chinese and Japanese language support. Better filtering options for tabular output, including terms, phrases and report lists. 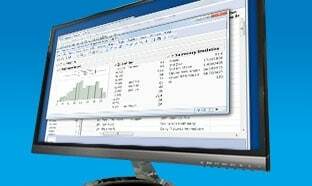 Support for discriminant analysis (JMP Pro). Support for validation column in the platform launch for use in a predictive modeling workflow (JMP Pro). Text Explorer is updated in JMP 14 with enhancements including Japanese and Chinese support. CUSUM charts offer quality engineers the familiar look, feel and interpretation of traditional control charts. Quality engineers will find a variety of new diagnostics and time-saving tools in JMP 14. 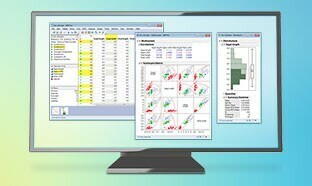 CUSUM charts in JMP now have the familiar look, feel and interpretation of traditional control charts and the Process Screening platform adds Drift Detection, Goal Plots and the ability to generate three-way control charts directly from platform launch. The Process Capability platform adds new distributions and measures of variability, while a new platform, Manage Spec Limits, lets users easily import, export and modify spec limits. Multiple Factor Analysis (MFA) is a sensory analysis technique whose goals are to find groupings of products that are similar and to identify outlier panelists—the panelists who are so different from the rest of the group that their values skew the results of the analysis. MFA allows the researcher to perform a PCA-like analysis with untrained panelists. It is often used for pre-evaluation studies, where many different products are being tested, as well as for later-stage consumer panel studies where many consumers—many of whom have no training on standard sensory measurements—rate the products. The new Multiple Factor Analysis platform helps identify groupings of similar products and detect outliers that can skew results. With Functional Data Explorer in JMP Pro 14, understand, clean, align and build models from sensor streams or batch process data. 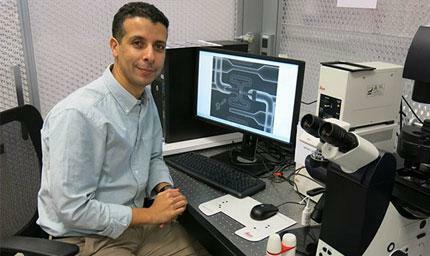 Scientists and engineers are dealing with more and more data streamed from device-based sensors or batch process monitors. Hundreds or thousands of such data streams can create a large volume of data, very quickly, posing a unique set of challenges. 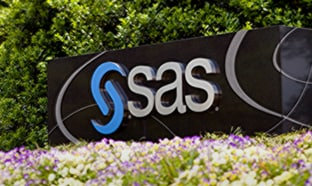 No matter what your industry, common difficulties exist with this type of data: simplifying and cleaning up messy data, removing outliers and building models that characterize an underlying function or relate a continuous data stream to measures of performance, such as yield, defect rate or product quality. With Functional Data Explorer in JMP Pro 14, you can take advantage of this functional data, easily performing data cleanup, transformation, visualization and feature extraction. Ultimately, this allows you to more easily build models you can use to design experiments, characterize processes or make predictions. Support for censored response data now includes the Gamma and exponential distributions. Multinomial response support (nominal responses with more than three levels). Additional selection techniques: best subset regression, backwards elimination, pruned forward selection and the Dantzig selection (which has gained popularity in the DOE community for analyzing n<<p problems, like supersaturated designs). New reporting features include a reset solution button, QQ-Plots, F-tests and reporting VIFs, adjusted R-squares and RMSEs. 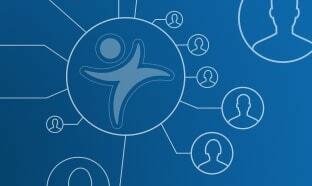 The platform has been adjusted for improved performance with large and/or complex problems with many effects. Generalized Regression now supports custom tests, and cross-validation within two-stage forward selection. Generalized Regression helps you build models for many kinds of data, and with JMP Pro 14, its range has expanded to include additional distributions, support for more response types and additional selection techniques. The new Projects system provides a way to organize files and use JMP with a tabbed interface to manage multiple open windows during analysis. Projects allow single document interface to JMP, selection of specific files to include, organization of a reconfigurable workspace, analysis sharing and archiving and document launching (of supported file types PPT, DOC, PDF) directly from JMP. New multiple file import launches a dialog to load several files into a single JMP data table. Allows filtering of files by size, date, name and type and supports one-column import, useful for Text Explorer document preparation. Within platform support for editing text import options. Virtual Join improvements offer access to data in one table by another table with just a few clicks. New chart type, packed bar chart, shows skewed data across hundreds of categories. 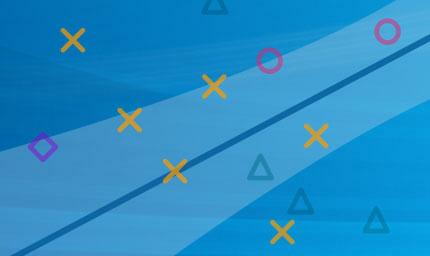 More control over graph customization. Support for more basic statistical analysis directly in Graph Builder. Parallel coordinates in box plots, points, histogram and violin plots. Use column images as markers. Clickable links afforded by the Event Handler column property. New transforms are now in New Formula Column. Labels to codes and codes to labels columns utility. Select duplicate rows added to rows menu. Preference searching and filtering makes it easy to find a preference to be changed. Updated Scripting Index with better search and a compact mode that works well in a project. Preview results in Formula Editor before clicking OK. Better automatic category sorting for numeric suffixes (e.g., Lot 1, Lot 2… Lot 10, Lot 11). Grouping of scripts in a data table. File quarantine alert to protect against unknown executable code within downloaded JMP files. Updated OpenGL View Settings dialog for easier customization any 3D graph. Search box for more control over filtering. Recode formula publish to Formula Depot, which lets you perform data cleanup inline in a production environment without having to bring the data into JMP. Animated GIF recording and saving in JMP where there is a play button (Bubble plot, local data filter, column switcher for example) make it possible to embed a moving JMP visualization in a PPT slide, for example, without having to rely on Flash. Dashboard Builder adds easier-to-read drop zones, a blank dashboard template and the ability to store custom templates. Now select data in HTML5 report output. Create Web Report functionality allows organization and sharing of the steps of an analysis project with an index page and links to interactive HTML reports. Create Web Report is now scriptable so the creation of the web report can be added to the end of a standard report script. Filter support in interactive HTML reports adds filtering through selection, but does not recalculate models, for example. A-optimality criterion added to Custom Design. This feature is useful when the optimal design needs to focus more heavily on certain effects rather than others, since there isn’t a natural way for D- or I-optimality to do this. Ability to create balanced incomplete block designs (BIBD). Improvements to the way priors are specified when building accelerated life test designs. In Compare Designs, up to 10 designs can now be compared through a JSL interface, and up to five with the UI. Improvements to the Fit DSD algorithm and options let the platform find weakly quadratic terms and interactions that have weak heredity. New option to create a data table from color map on correlations. Addition of pairwise incidence heatmap to MaxDiff designs. Improved space-filling over levels of a categorical factor. New option to create a run order column in Custom Design. Support two Asian languages (Chinese and Japanese). Additional distributions, including more censoring (Gamma and exponential distributions add support). Additional selection techniques, including best subset regression, backwards elimination, pruned forward selection and the Dantzig selection (which has gained popularity in the DOE community and is good for n<<p problems, liked supersaturated designs). Other features, including a reset solution button, VIFs, adjusted R-square, RMSE, QQ-Plots and F-tests. Finally, custom tests are supported, cross-validation support has been added for two-stage forward selection and the platform has been adjusted to perform faster with large and/or complex problems with many effects. Profiler Simulator adds distribution-based simulation of response errors in Standard Least Squares and Generalized Regression. Distribution platform: Addition of SHASH distribution. Extended support for Multiple Response modeling type. Adjustment made to the PCA algorithm using a sparse implementation that makes computing principal components much faster (even on non-sparse data). Also support for supplementary variables. Fit Stepwise uses transforms instead of formula columns for saving terms for parts of categorical effects. Drift Detection, Goal Plot, three-way chart metric and numerous UI enhancements in Process Screening. New platform for managing spec limits. CUSUM Control Chart platform added to the Quality Engineering menu. Addition of Bayesian Inference for Fit Life by X. For parametric survival, the addition of a nested model tests in addition to graphical comparisons to match Fit Life by X. Improved Fit Censored JSL function to improve performance of Life Distribution with very large data sets containing Interval Censoring. New Probability plot of Standardized Residuals in Cumulative Damage. New side-by-side comparison of fixed parameter results along with unconstrained results in the density profiler. Improved interface for censor indicator in failure cause column for life distribution now works like censor with dropdown list. Recurrence analysis includes a calendar event plot, interarrival by age plot and save simulation command for the non-homogenous Poisson process models fit within the platform. Stepwise models saved as prediction columns now require only a single column. Three-way control charts can now be launched directly within the Process Screening platform. Process capability: additional distributions, measures of variability and new Process Performance Plot. New JMP interface to Python allows connection to local install of Python, sending data to Python, executing Python code from a JSL script and returning data and results from Python programs. Allows you to communicate with external web servers using JSL. 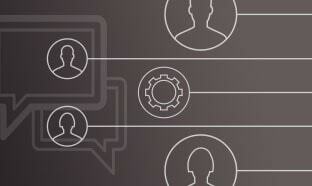 Communication occurs through APIs (Application Programming Interfaces). Used with the new JSL JSON parsing functions, HTTP Request makes it much easier to get web data into JMP with JSL. Interface improvements to Scripting Index, including the option to show search results by relevance. Option to save encrypted scripts to data tables. 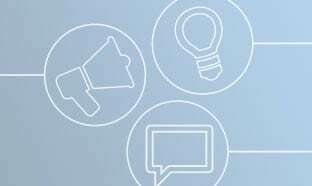 New Multiple Factor Analysis platform helps with sensory analysis, identifies similar products and outlying panelists and facilitates pre-evaluation studies, later-stage consumer panels and studies that have untrained panelists. 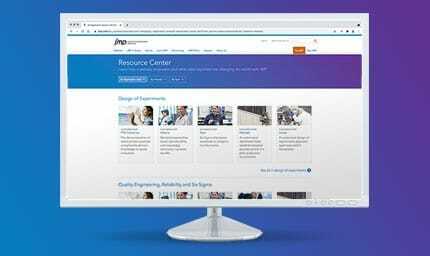 Download a PDF of the new features in JMP and JMP Pro or view our online searchable documentation.